Linda Casa is an Etsy shop run by a passionate fashion graduate who just loves to make things! 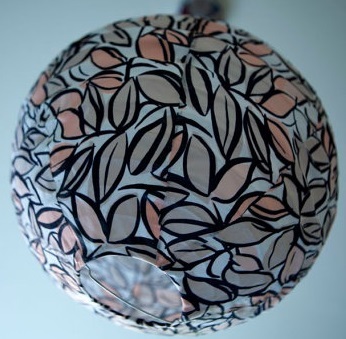 Her shop sells gorgeous fabric covered lantern lampshades as well as cushions and mirrors. I have had my eye on her gorgeous lantern style lampshades for a while. They are so pretty and her floral designs match my home perfectly. I ordered her lovely Blushing Petals design which is so cute. It's a great idea for students who can't really make any permanent changes to their accommodation but still want it to look cute. I'm really happy with my lampshade, the fabric is nice and thick and it allows a really warm glowing light to come through. Definitely check out Linda Casa on Etsy here.